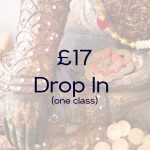 Have a week off work and want to boost your practise? Have a friend visiting London for just for a week? 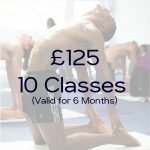 The One Week Unlimited card gives you 7 days of unlimited yoga for just £50! PLEASE NOTE: You have a month from date of purchase to activate and 7 days unlimited use from the date of activation. *There is no concession price available for this class card. Why not try to keep up all that good work with a One Month Unlimited or even a 12 Month Autopay.